Over the last 3 months the Liv-ex 50 has slipped the best part of 2.5% which as far as the fine wine market is concerned represents something of a correction. In terms of this particular index the market has given back all the year’s gains. The broader your perspective however, the better off you are. The Liv-ex 100 is up 2% over the last 12 months, the 500 is up 3% and the 1000 is up 10%. There can be few more patent examples of why it is important to spread your risk. There will be periods, of course, when the narrower indices may be in the ascendency, but over time it’s a case of the broader the better. The beauty of corrections is that they often cough up bargains, and the best way to enhance investment returns is to buy when, for whatever reason, the pressure is on. You don’t just charge out buying everything willy-nilly, of course, but at Amphora Portfolio Management we would argue that it is always helpful to have an eye on two or three vintages from the producers you are looking to invest in, and when prices drift back you have a good chance of picking them up at a good price. We are always aware through the workings of the algorithm of which wines represent the best relative value at any given time, and when pull-backs in prices happen the value in certain cases gets even better. This time it is no different. The current mini-correction started at the end of August, just over a month before the world’s major stock-markets tumbled from their peak levels. There is no reason to believe these events are in any way related! We are therefore interested in wines which the algorithm favours, and which have fallen more than the overall market. 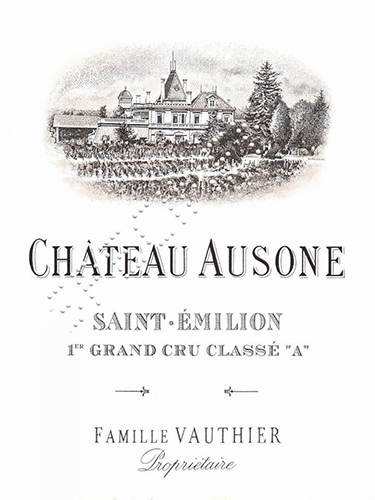 Ausone 2012 has traded at £4,200 for most of the last 2 years. At that price point it still featured as good relative value, but for whatever reason there has been some selling recently which has driven the price down below £4,000, a decline of 5.24% and twice the decline in the narrowest index. While it is available at these levels we strongly advise buying whatever is in the market. This is one of those situations where the removal of a couple of cases will see the market price rebound quickly and it is always nice to start the journey with an immediate 5% gain. Staying for a moment with Ausone we note that the best performer over the correction phase is the 2010, up nearly 5% at £11,000, whilst the worst is the 2009, down over 8% at £9,000. Given that these two wines share the same score of 98+ this price disparity is anomalous. The question is, which is the right price? Is the 2009 too cheap or is the 2010 too expensive? Ideally you would short the latter and arbitrage with a long position in the former, but shorting is difficult if you can’t borrow, and since the only lenders would logically be the producers themselves your entreaties will surely fall on deaf ears. Another 2012 which seems to have fallen a disproportionate amount is Ducru Beaucaillou, down 6% at £980. This trade is easier to dismiss however, because it declined from a level which on closer inspection seems to be a spike in the price. The algorithm also prefers the 2011 and the 2014, so we would be wanting to see further weakness in the 2012 before suggesting acquisition. By contrast anyone keeping an eye on Haut Brion 2012, which everyone should be if their portfolio lacks a First Growth “off vintage”, should go shopping for it around the £3,400 mark. We have written in the past about the value resident in a lot of the 2012s, and it was interesting to see the Liv-ex last week highlight the recent outperformance of “off vintage” wines. Traditionally the advice for anyone looking to invest in fine wine was to buy the top vintages from the top producers. Regular readers of this column will know how we at Amphora rate that strategy. As the Liv-ex note makes clear, the best-performing vintages on aggregate from the Liv-ex 500 over the last 3 years have been the 2011s, 2012s, and 2013s. These three were all left on the shelf when they came to market, suffering from a combination of en primeur mis-pricing and an overall market decline post the 2011 euphoria. As a result when activity picked up in mid-2015 they seemed increasingly undervalued, and have risen well as a result. Another of the interesting features of the last 3 months’ trading is the decline in the 2015s. Most of these have enjoyed significant rises on en primeur prices, as the vintage has come to be increasingly appreciated after the difficult few years that preceded it. This slight pull-back is entirely in order, but we would be inclined to let prices settle for a bit longer before increasing weightings in this vintage.